Blog theme by Design Muse. Powered by Blogger. I was looking at a teacher supply catalog and I saw these clock boards and I thought, “That is just what I was looking for all those months ago when we were learning and reviewing time.” It was something quick and easy where I could call out a time and the students could quickly show me the time in analog or digital. I love me some Judy Clocks, but there wasn’t a space for them to write the time digitally. I also love the scratch paper or dry erase board, but waiting for the sweet children to draw a clock would take FOREVER! Sorry…back to the point of the post. I wanted some of these clock boards B-A-D and was all ready to shell out the money when I read that they were $19.99 for 5. Now, I may have 24 or 25 2nd graders in my class next year (Thank you budget cuts). I want each of my students to have one, so we can do this '”drill” whole group on the semi-spur of the moment. So, my total would be $100 plus tax—YIKES! I said, “ I can make these!”, while I thought, “I can make these?”. When I get an idea, I have to do it right then. So, I whipped these up. I’m pretty proud of them. I’m going to laminate the clock faces once I’m able to get back into the school (so it’s free laminating), and then I will attach them to the back-to-back on the tongue depressors so one side is digital, the other is analog. Lookie there, I’ve got my write-on, wipe-off clock paddles. Click on the link below if you want a copy of the faces. I really like this! I am going to adapt it. I want to put it in page protectors because they are better write-on wipe-off than lamination. I just printed a copy so I can get that ready for cutting. My niece and her buddy go help me, so I even have helpers to get these ready for my students! Blessings to you! These are GREAT!! Thanks for saving me $100.00- my husband really appreciates it! Popping by to say Hi. 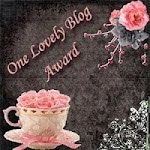 You were spotlighted in my Blog Mixer Linky Party. Cute clock idea! Thank you! You all are SOO Kind! 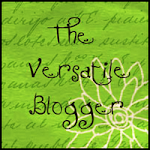 I love All of your blogs and am amazed at how creative you are! This is great! 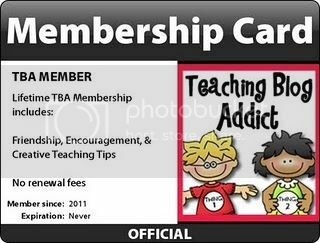 However, when I got to download it, it says I have to become a member to the site and pay a fee. Is this correct? I really LOVE LOVE these. I am a long term sub and make really no money, but do it b/c I love it. Anyways, I have a lot of 1st graders struggling with time and these are great. I am having issues with scribed, is there anyway that you could email this link to me? I know that's asking a lot, but I would really appreciate it big time! Emily, it says the same thing for me. One thing I downloaded was from there but ever since that one download, I haven't been able to download anything else without it telling me I need to sign up for a fee. :-( Kind of a bummer. I know some bloggers are moving things to google docs for this reason. Scribd is really being difficult. Would you consider uploading this to google docs or emailing it to me? It looks like an amazing resource! Could you please email the clock paddles? I tried to but was not able to on scribd. I, too, am having the same problem as the friends above. Can you email them my way? I too am having problems with ScribD wanting me to pay. I would love to get an e-mail for these. Thanks for sharing the ideas. Can you please email me the clock paddles - having a difficult time downloading them! Thank you! Would also love a copy of these but don't want to pay for Scribd, could you please email them to me at egremi719@gmail.com? Thanks! Could I trouble you to email the file my way? I teach Spanish and would LOVE to use this in my classroom! Thanks! Did anyone ever get this? I would love a copy. Thank you! Great idea. Could you please email me the clock paddles at matthewggale@gmail.com. Am unable to download? I love these, too! Would it be possible for you to email the clock paddles to me as well? Thank you so much! I would also love an email if you are able to - no worries if not! hi! tried to download but could not! can email me the template? prettyteacherlin@outlook.com. thank you very much! Hi! I do not subscribe to Scribe so would love it if you would email me the template. Thank you so much! If you could email it to me I would really appreciate it! If this is still available I would love a copy! Would you send me a copy of this? I would love it! Hi, I love this resource. I'm planning to use it next week for small group however when I click the link a message says it's the document has been removed by Scribd! Can you email it to me! My email is shawn_t26@yahoo.com. Thanks! This is great! Just what I need for my first graders. Could you please e-mail me a copy too? This is awesome, however I can't download it as Scribd says that it's no longer available. Could you please email me the item? I cannot download the templates either. I would really appreciate it if you sent it to me by email. Thank you very much! I'm terribly sorry to bug you, but Scribd said the templates aren't available anymore... would you please send me a copy? Thank you so very much!!! Can you please email me a copy of the clock paddles? I cannot download them either. My email is EPJacobs329@gmail.com. Can't print, would love a copy. Could you share this a different way? The above link is no longer active. Thanks. This is awesome but the link is broken. Could you send me a copy for my special ed students. They would be rapt. Unable to download. Would love a copy. Is this still available? Sorry. Broken record time...I would love a copy too. 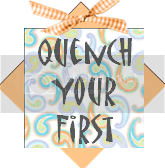 Back to School Blog Party!! !